... And the geese are getting fat. Will you please put a penny in the old mans hat? If you haven't got a penny then a ha'penny will do. If you haven't got a ha'penny then God bless you and your auld man too! 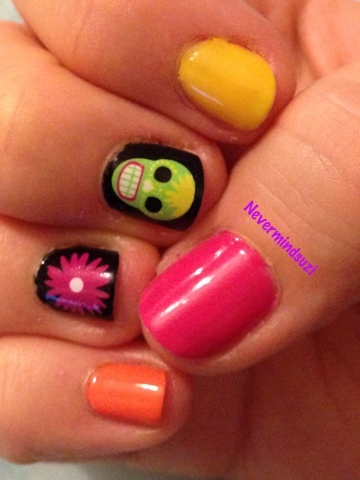 And some of the Day of the Dead, Sugar Skull water decals that came with it. What are your Halloween nails? So pretty I've been loving these polishes from a distance too close and dangerous things will happen to my bank account! 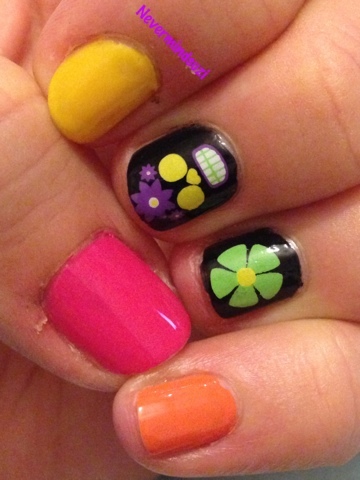 Love the colours and the stickers are fab! I am in love with those decals!!! They look great!! :D I totally forgot to use my decals from the OPI kit for my Halloween manicure oops!